I was born in Dulwich, South London and have lived in Surrey since 1967. I am married with three children, and only started painting seriously when my youngest child started school. 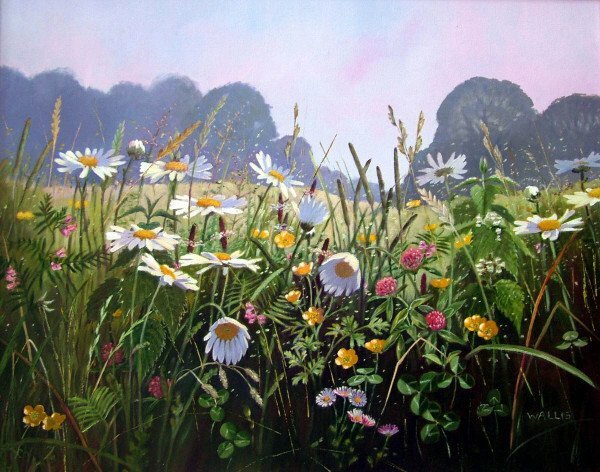 I am largely self-taught although I studied oil painting in the UK and Italy. 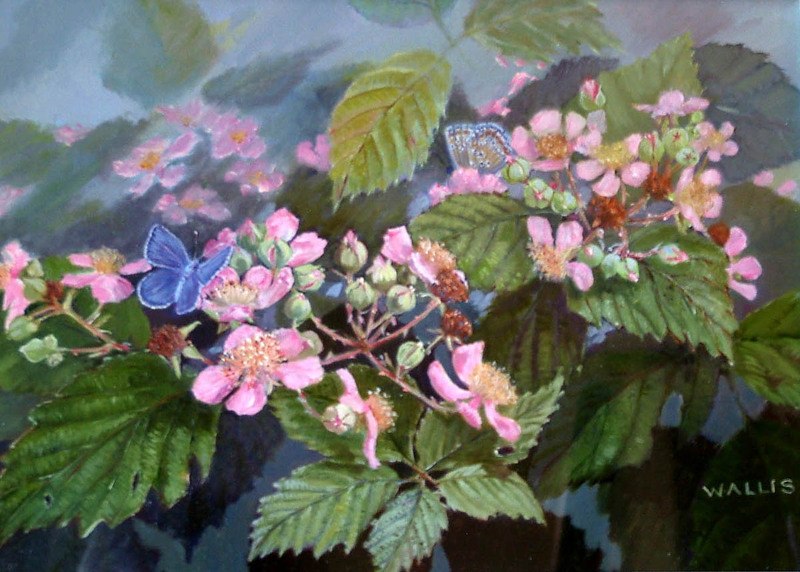 I first exhibited my work in 1970 in local exhibitions. I have always painted in oils, as I like the texture and strong colours, and the overall effect of the finished work. From the very beginning I was drawn to the English countryside and its flora. 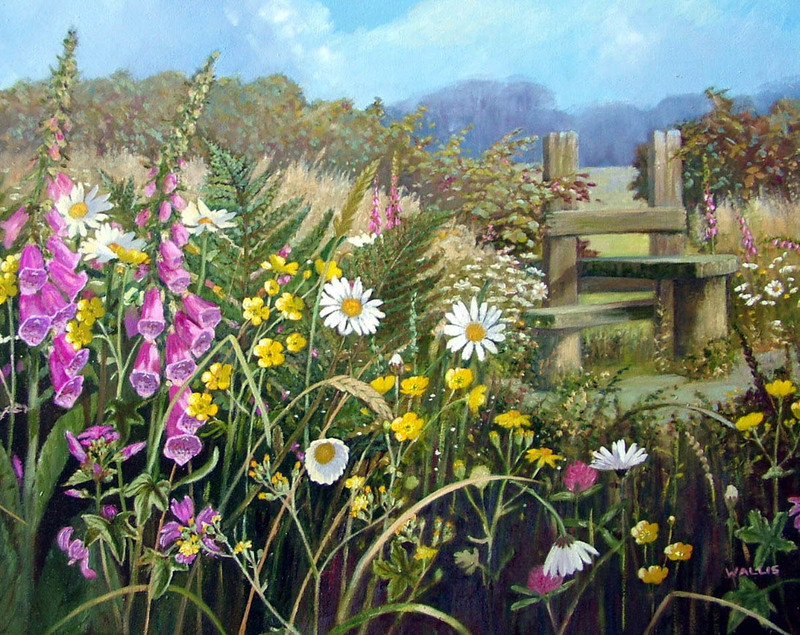 I tend to concentrate on landscapes with hedgerows and flowers, or close ups of wild flowers in their natural habitats. I have been a member of several local art groups since my early days. I was accepted as a member of the Society of Women Artists in 1994, and the Society of Botanical Artists in 1999. I have won many awards, and my work has been used in commercial greetings cards, calendars, CD’s and prints. My work is shown regularly in London and locally in the South east. Several of my paintings have been acquired by clients in The USA and Japan. Painting is very important to me, I have to paint, and will always do so.